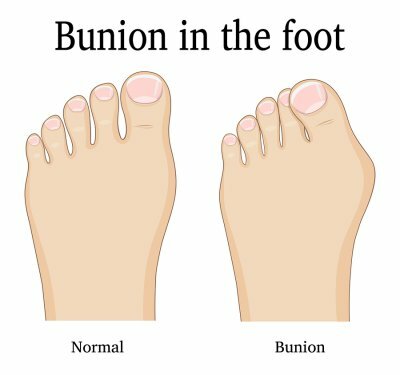 Bunions are foot deformities that cannot be reversed non-surgically. If a bunion specialist in the Sugar Land area diagnoses you with this condition, it means that you have an abnormal, bony bump that protrudes away from the foot. This bump develops at the base of the big toe. Even if you’re not sure if you’re ready to have surgery, you should talk to a specialist about your conservative treatment options. Simple lifestyle changes, like a change in footwear, can help prevent bunions from getting worse. Asymptomatic bunions might not require surgery. The surgical realignment of the toe is a serious procedure. If your condition isn’t causing painful symptoms, your doctor will likely recommend that you avoid surgical intervention. It’s possible to develop chronic pain in the area after surgery, even if you didn’t have pain there beforehand. On the other hand, your doctor may determine that surgery is an appropriate option for you if any of the following problems apply to you. You have chronic inflammation that isn’t relieved with rest or medicine. You’re no longer able to bend and straighten the affected toe. You’re experiencing pain despite lifestyle modifications and medications. You suffer from significant foot pain that interferes with your daily activities. There are several types of bunion surgery. 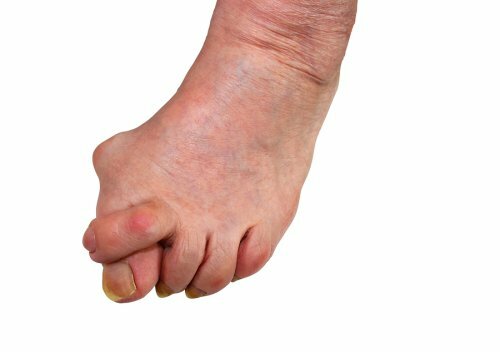 Bunion surgery is complex, and there are several approaches your doctor could use. The technique used on your foot depends on the underlying cause of the deformity. An osteotomy involves cutting the bone and realigning the ends. The bone pieces are held in place with surgical hardware like screws or pins. An osteotomy may be performed in combination with soft tissue correction, if your soft tissues are too tight on one side of the toe, and too loose on the other side. Other surgical options include arthrodesis and resection arthroplasty. You have a few anesthesia options. It usually isn’t necessary to have general anesthesia for bunion surgery. Some patients have the operation with just local anesthesia, which numbs the foot. Regional anesthesia is injected at the knee area to numb some of the leg above the foot. Spinal anesthesia eliminates all feeling below the waist. If you choose local, regional, or spinal anesthesia, you may decide to request a sedative to help you stay relaxed during the procedure. Fungal nails are unsightly, embarrassing, and occasionally smelly. They are also notoriously difficult to treat. A podiatrist in Sugar Land can use advanced treatments that aren’t available at drugstores to eradicate the fungal infection. Once it’s gone, your foot doctor will give you instructions to prevent the fungal infection from coming back . For people who are prone to developing recurrent fungal nail infections, showering once daily may not be enough to keep the feet clean enough. If you shower in the morning, bathe your feet again in the evening. You can use a loofah or clean washcloth to thoroughly work the soap around your feet and toes. Fungi love damp, warm environments like the insides of your shoes. Each time you take a shower or bathe your feet separately, dry your feet thoroughly with a clean towel. Be sure to dry between your toes. Your podiatrist might recommend applying a topical medication a few times per week after cleaning your feet. You can also apply foot powder to help your feet stay dry. If you tend to sweat heavily, you may need to change your socks during the day. Fungal infections easily spread in gyms, public pools, and locker rooms. Always wear shower shoes around the edges of the pool and in the public showers. Let your shower shoes dry completely between uses. Injured nails are more likely to become infected, especially if you have diabetes. Clip your toenails straight across. Don’t trim them too short or in a rounded fashion, or you’ll be at risk of an ingrown toenail. Before getting a pedicure, check that the salon follows strict sterilization procedures. And sterilize your own nail clippers after each use. Wear shoes that have enough space in the toe box so that your nails don’t touch the inner end of the shoes. Choose shoes with breathable fabric , and purchase at least two pairs for everyday wear. Alternate them each day so they’ll have time to dry out. What’s Involved in Flatfoot Reconstructive Surgery? Patients with flat feet in the Sugar Land area can have reconstructive foot surgery to prevent complications of this condition, such as hammertoes, bunions, tight heel cords, calf pain, and foot fatigue. Foot surgeons can treat flat feet with multiple reconstructive approaches, depending on the patient’s specific needs and severity of symptoms. To plan the surgery, the podiatrist will review imaging scans. These can include X-rays, CT scans, and MRIs.